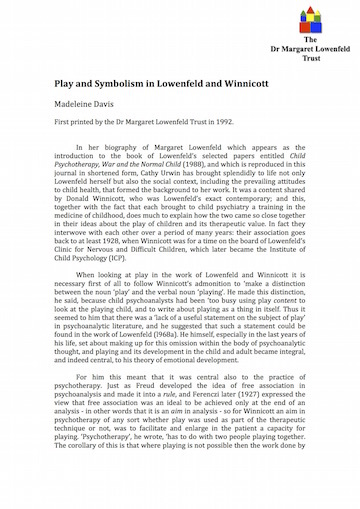 Dr Margaret Lowenfeld (1890-1973) was a paediatrician who became a pioneer of child psychology and psychotherapy. Her interest in how children grow and develop and think began when, recently qualified as a doctor, she was involved in relief-work in her ancestral Poland after the First World War and wondered what enabled some children to survive and flourish despite their traumatic experiences. Early in her career she engaged in medical research (in childhood rheumatism and in breast-feeding) and she retained a strong belief in the need for research and evaluation in whatever field she was engaged. Her outstanding contributions sprang from her recognition that play is an important activity in children’s development and that language is often an unsatisfactory medium for children to express their experiences. She consequently invented non-verbal techniques that enabled them to convey their thoughts and feelings without resort to words. The Lowenfeld World Technique uses trays filled with sand and collections of miniature toys, representing all aspects of their daily lives, to enable children to portray their inner worlds. Lowenfeld Mosaics uses differently shaped and coloured tiles to produce a powerful diagnostic and therapeutic instrument; they have also proved useful in comparative studies of children from different cultures. Lowenfeld Kaleidoblocs is a psychological test. 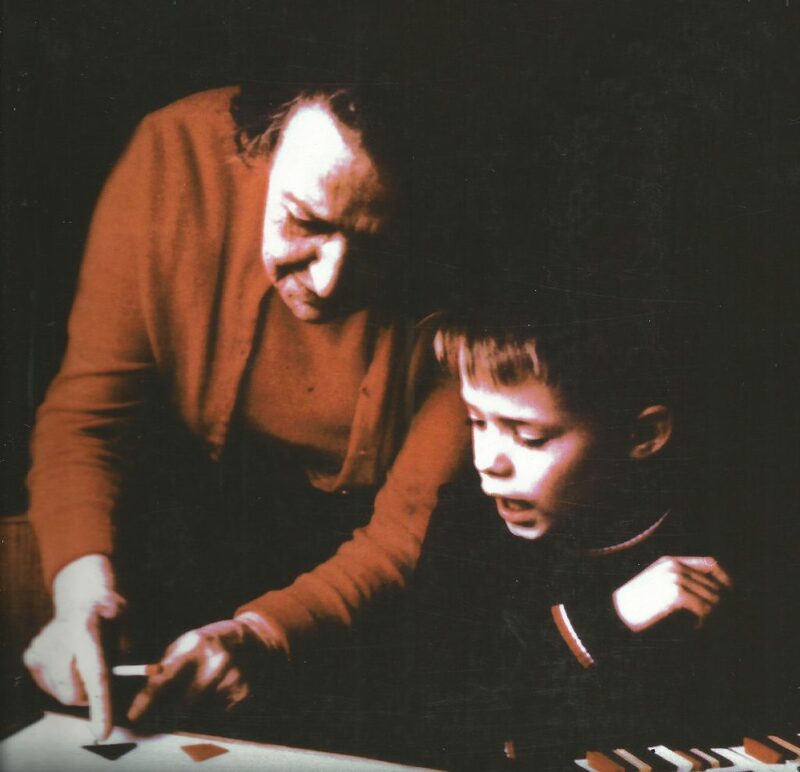 Though most of her work was with emotionally disturbed children she also understood very well how ordinary children learn; she devised Lowenfeld Poleidoblocs, widely used in primary schools in Britain, to help young children learn about fundamental mathematical principles. Underpinning these inventions are Lowenfeld’s own distinct original theories about the driving forces of children’s behaviour. In the late 1920s Dr Lowenfeld established one of the first child guidance clinics in Britain in Notting Hill, London. This she developed into the Institute for Child Psychology which trained child psychotherapists in her theories and techniques while continuing to be the local child guidance centre funded eventually by the National Health Service; this gave its students a unique experience of the practicalities of the child guidance field during their training. In the Science Museum, London, a display cabinet in the History of Medicine section is devoted to Lowenfeld’s inventions. Moreover, she figures substantially in a major Science Museum semi-permanent exhibition, ‘Mind Your Head’, celebrating the Centenary of the British Psychological Society. The Institute of Child Psychology Library is housed in the Centre for Family Research of Cambridge University. The Lowenfeld Archives is at the Wellcome Trust. These can be accessed by appointment at the Wellcome Trust, we recommend starting your search with the online library catalogue.